Welcome to BRAT's list of our 990 forms and other financial information. Now you're asking, what's a 990 form? The Internal Revenue Service (IRS) Form 990 is the tax document that tax-exempt nonprofit organizations file each year with the IRS. The 990 allows the IRS and the public to evaluate nonprofits and how they operate. 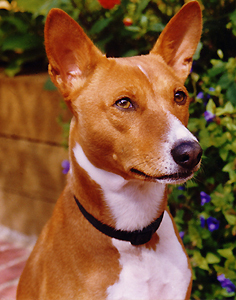 Nonprofit organizations such as Basenji Rescue and Transport must make this information available to the public. Below are our 990 forms, our IRS determination letter and a Report of Independent CPAs (period ended September 30, 2013). These documents are in PDF format. You will need the Adobe PDF Reader to read them.